Identification: Forewing is indented at the inner margin. Upperside of forewing is yellow to orangish brown with faint markings and no dark submarginal line. 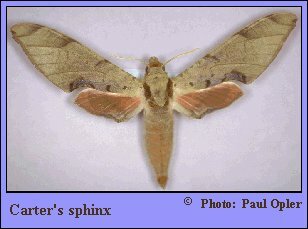 Upperside of hindwing is yellow to orange with no markings. Underside is unmarked with no submarginal line, and has a darker outer margin. Wing Span: 3 3/4 - 4 5/16 inches (9.5 - 11 cm). Flight: . Throughout the year in south Florida and the tropics. Caterpillar Hosts: Plants in the cashew family (Anacardiaceae) including Brazilian pepper. Adult Food: Nectar from flowers including jasmine. Range: Tropical America north through the West Indies to central Florida.